Located next to the exit of Wugu interchange in New Taipei City, Taiwan, Goodness Plaza Hotel offers simple yet modern design accommodations in Taishan District. 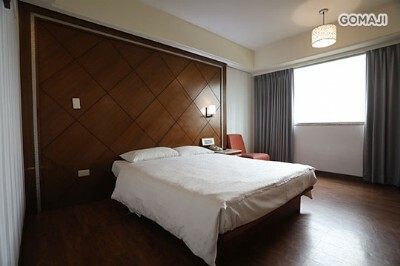 The hotel provides an ease to access to major transportation networks in Taipei, including Taipei Main Station and Taipei HSR Station which is about 20 minutes drive away, Taipei International Airport which is about 25 minutes drive away, and Taoyuan International Airport which is about 40 minutes drive away. 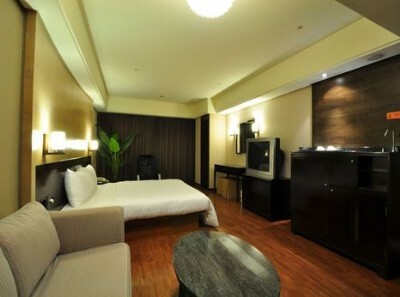 With a selected location close to highway, this Taipei accommodation allows businessmen and travelers easy to reach greater Taipei’s other business districts and commercial districts, as well as other Taiwan destinations. Also, it is a budget hotel with attentive service from the hotel’s professional staff and contemporary furnished facilities will ensure you a pleasant stay for your Taiwan travel. TWD 1000 for additional guest with extra bed. Charge to be paid upon check-in. Breakfast included. Toiletries & Beddings included.